H.H. Sheikh Hamdan bin Mohammed bin Rashid Al Maktoum, Crown Prince of Dubai and Chairman of Dubai Sports Council, along with Chairman of the National Olympic Committee and Chairman of the Mohammed bin Rashid Al Maktoum Creative Sports Award, H.H. 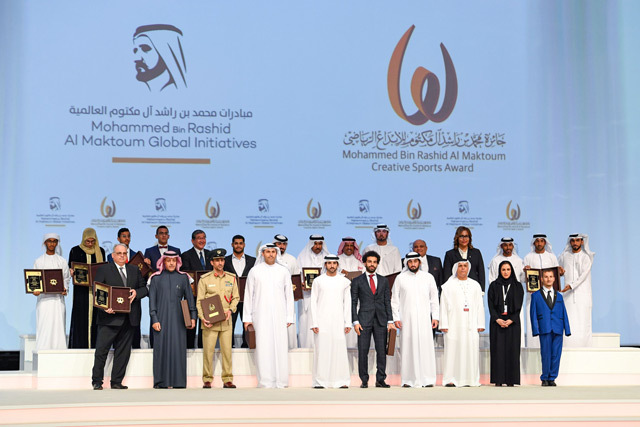 Sheikh Ahmed bin Mohammed bin Rashid Al Maktoum, honoured the winners of 10th edition of the Award, in a grand ceremony held at the Dubai World Trade Centre. 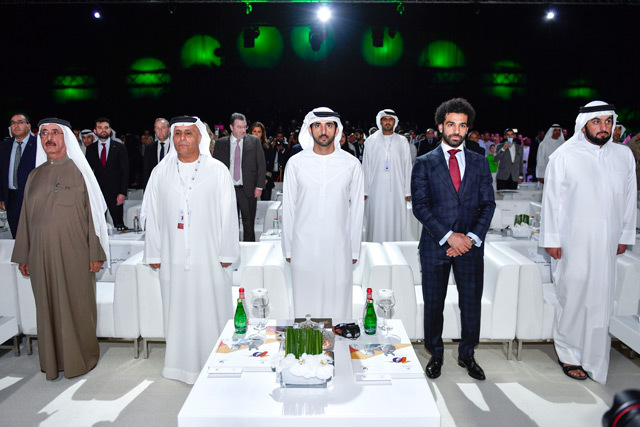 The list of winners includes Manchester City Chairman and Khaldoon Al Mubarak (Local Sports Personality), Turki Al Sheikh of Saudi Arabia (Arab Sports Personality) and Egypt and Liverpool forward Mohamed Salah (Outstanding Arab Athlete). "Awards give athletes the motivation for more efforts and improvements," Salah said at his acceptance speech on behalf of the winners. "And an award that holds the name of His Highness Sheikh Mohammed bin Rashid, is great and huge one, because its value comes from Sheikh Mohammed's great position as the pioneer innovator in all fields," the Liverpool star added. "Yesterday, I won the African Player of the Year award for the second time in a row, and today I am honoured to be here to receive this prestigious award, and with a group of leading athletes and champions, including young people from different Arab countries, the award will be an incentive for them to achieve more achievements in the future," he remarked. He thanked Sheikh Hamdan for launching the 'great award' that aims at developing sport in the UAE, the Arab world and the world. 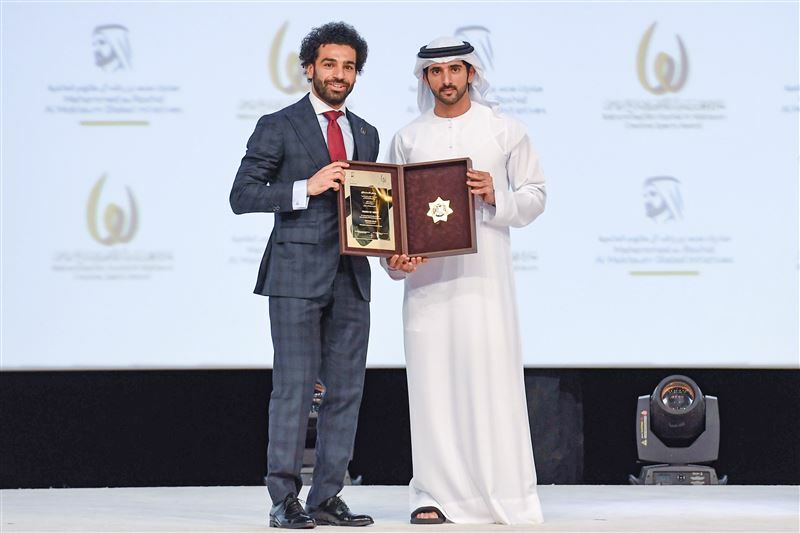 "And thank you for this appreciation and honour which means a lot to me as it comes from the UAE, the country, that is close to our hearts," Salah said. "May God help you to achieve the goals of this award and support our athletes and youth," he concluded The event was attended by Chairman of Dubai Media Incorporated and President of Tennis Emirates H.H. Sheikh Hasher bin Maktoum; President of the UAE Padel Association Sheikh Saeed bin Maktoum bin Juma Al Maktoum; Commander-in-Chief of Abu Dhabi Police and Chairman of the General Authority for Sports Major General Mohammed Khalfan Al Romaithi, First Vice President of UAE Olympic Committee Humaid bin Mohammed Al Qatami, Vice Chairman of Dubai Sports Council Mattar Al Tayer, Commander-in-Chief of Dubai Police Major General Abdullah Khalifa Al Marri, Secretary-General of The Executive Council of Dubai Abdullah Mohammed Al Basti, Secretary-General of the General Authority for Sports Saeed Abdulghafar, Secretary-General of Dubai Sports Council Saeed Hareb, and a number of senior officials.